Living Languages is simply bursting with practical and original ideas aimed at teachers and trainee teachers of foreign languages in primary schools. Written by a team of experienced linguists, this book will inspire and motivate the foreign language classroom and the teachers who work within it. 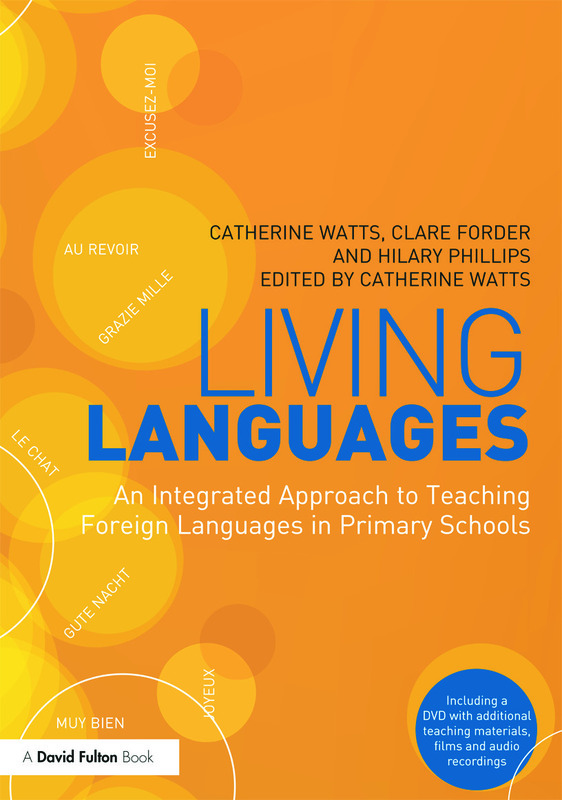 Living Languages comprises eight chapters and is structured around the integrated classroom, merging language learning with different aspects of the wider curriculum such as multimedia, performance, celebrations and festivals, creativity and alternative approaches to teaching languages. A DVD is also included with the book containing additional teaching materials and the associated films and audio recordings which make this a fully-developed and effective teaching resource. Continuing Professional Development to inspire primary teachers to continue their individual professional development. The chapter contains concrete examples of others’ experiences in this area and includes details of support organisations and practical opportunities. Each project is explored from the teachers’ perspective with practical tips, lesson plans and reflections woven throughout the text such as what to budget, how to organise the pre-event period, how to evaluate the activity and whom to contact for further advice in each case. Activities and examples throughout are given in three languages – French, German and Spanish. Fly the world from your own school airport!